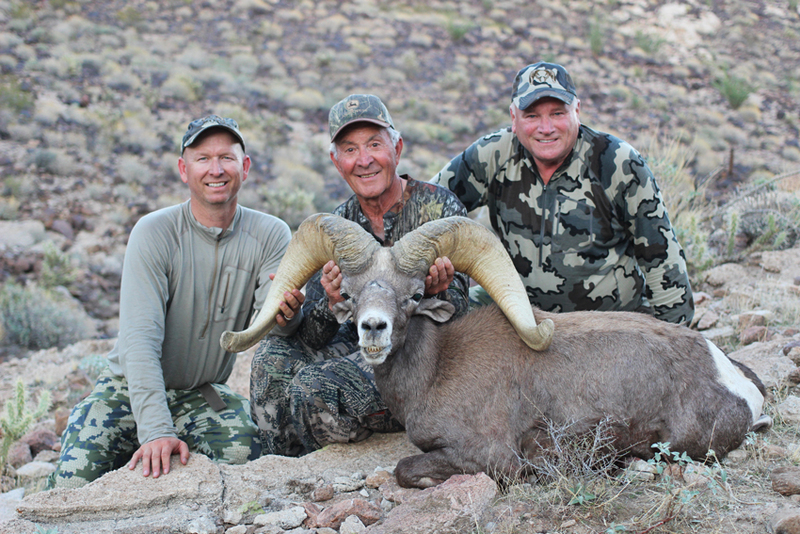 Frank Argo & Craig Steele with Frank’s Arizona Raffle Desert Bighorn Sheep. 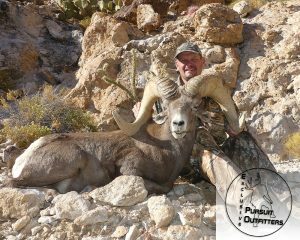 Hunting & Guiding Arizona Desert Bighorn Sheep is a very special privilege, it’s truly an amazing animal & hunt. 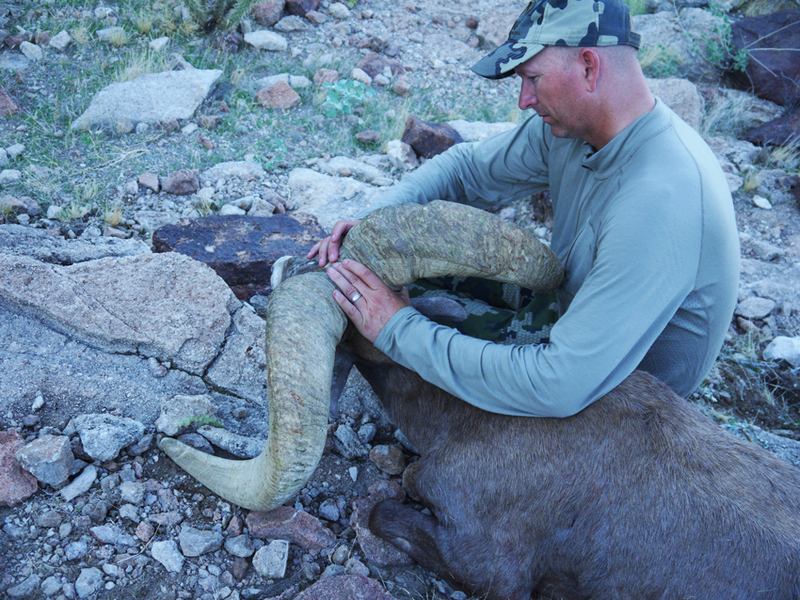 In 2015, Colburn & Scott Outfitters graciously partnered with us on the Arizona Big Game Super Raffle Desert Bighorn Sheep Hunt. 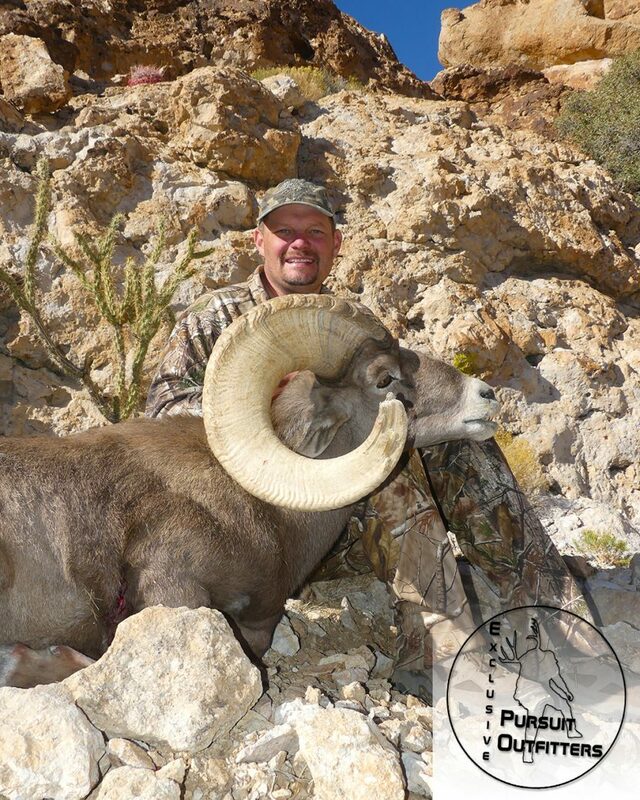 Living extremely close to the best desert sheep units for this hunt, gave us a great opportunity to scout early & often. 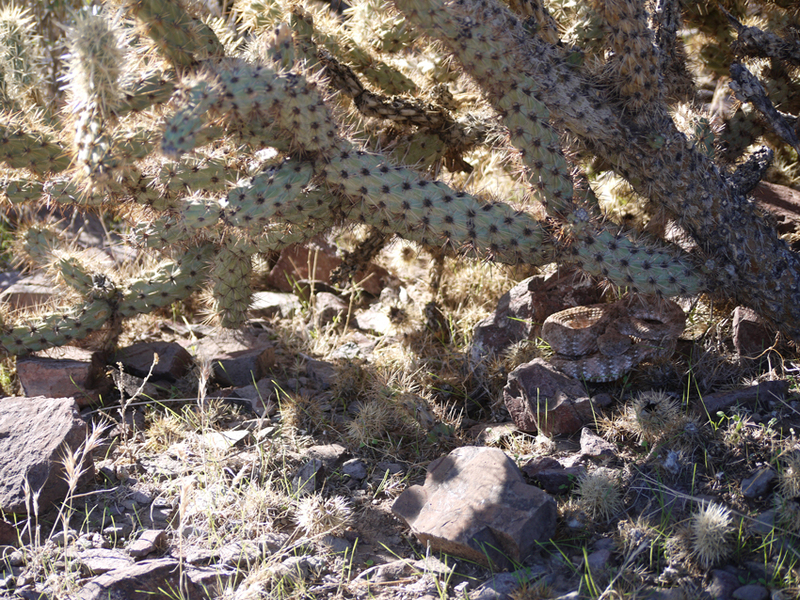 Rattle snakes are abundant during the summer and fall months in desert bighorn sheep country. 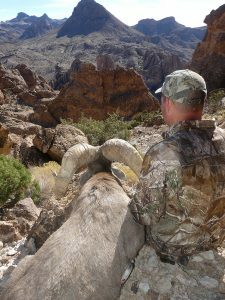 Summer & Fall scouting is often a grind in these Arizona Sheep units, as temperatures can reach well above 115 F. A big heavy ram was occupying most of our scouting time, but unfortunately we learned he died of natural causes several months before Frank’s hunt could begin. It was back to ground zero after several months of hardwork. As October neared it’s half way point, we decided to concentrate our efforts in the best 2 units available to hunt. Frank & his good friend Tim arrived at our base camp, thus the desert sheep hunting officially began. 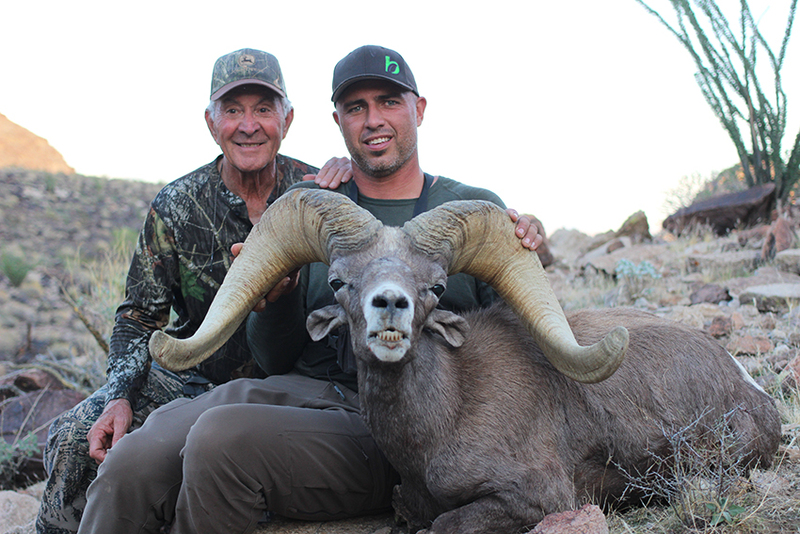 After a few days of hunting, we were able to turn up a couple older rams above the Boone & Crockett minimum. Below is some footage of us evaluating Frank’s ram. Several hours after this footage was captured, the sheep hunting group came together and made the decision to target this ram. 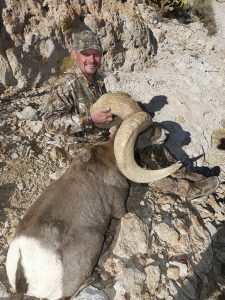 The ram had moved across the canyon in search of some ewes and after getting into position for a second time, Frank was finally able to wrap his hands around his once-in-a-lifetime desert bighorn ram. 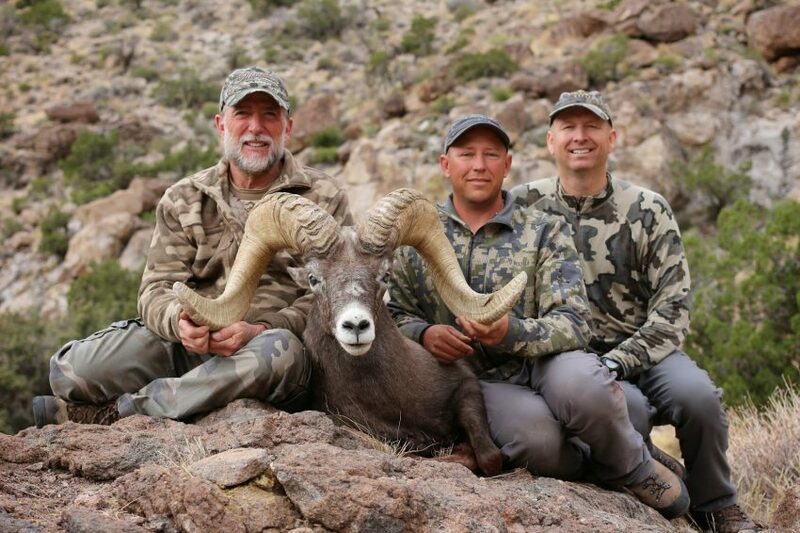 Jay Scott, Frank & Tim with Frank’s 2015 AZ Big Game Super Raffle Ram. Jay Scott estimates the size of the ram’s bases. 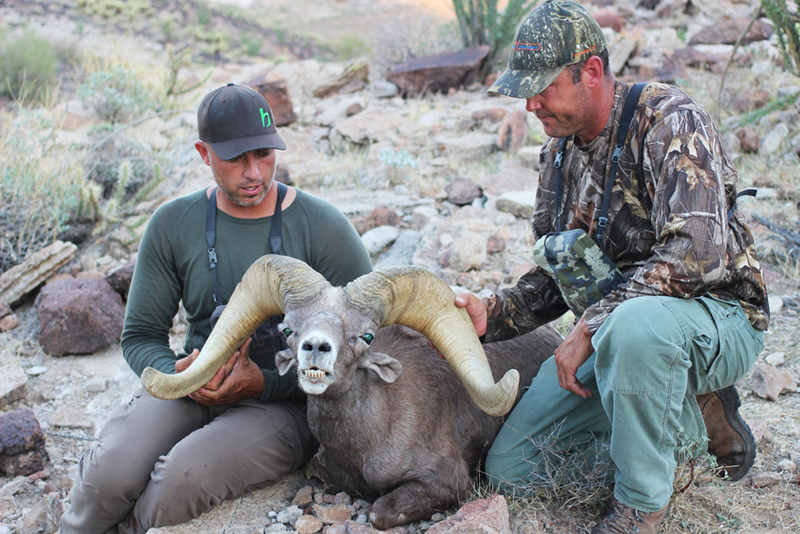 Craig Steele & Seth Meeske looking over the flare of this awesome desert bighorn ram. 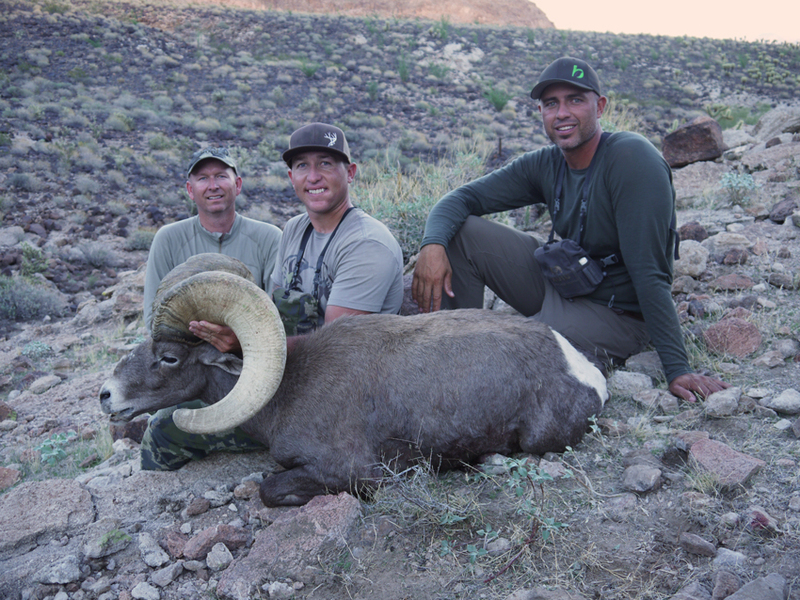 Jay Scott, Hunter Haynes & Craig Steele pose for one final image with this majestic bighorn ram. 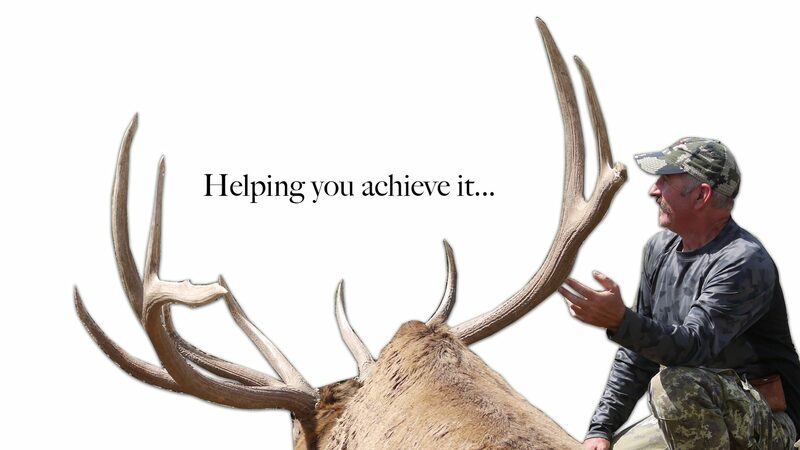 A special thanks from us at Exclusive Pursuit Outfitters goes out to: Jay Scott, Darr Colburn, Seth Meeske, Hunter Haynes, Jole Guthery, Fred Ashurst, Tim Aldinger & Frank Argo. Without all of these great people, we would not have been blessed to be apart of the 2nd Largest Arizona Raffle Desert Bighorn Sheep, see Jay Scott’s article at goHUNT.com. 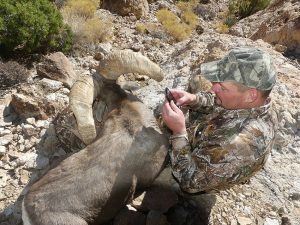 One final thanks goes to the Arizona Game & Fish Department Region 3 & the Arizona Desert Bighorn Sheep Society, for working together to preserve such an awesome animal.